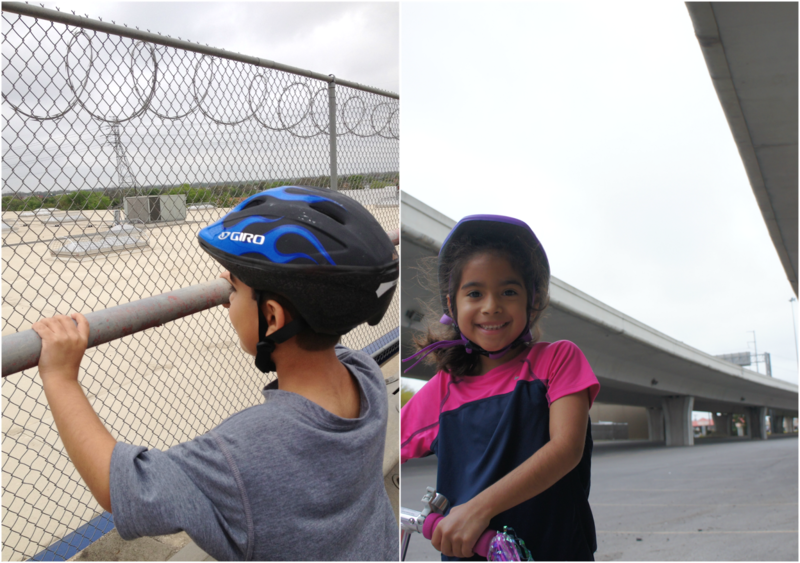 Families can Celebrate Cesar Chavez the entire weekend! 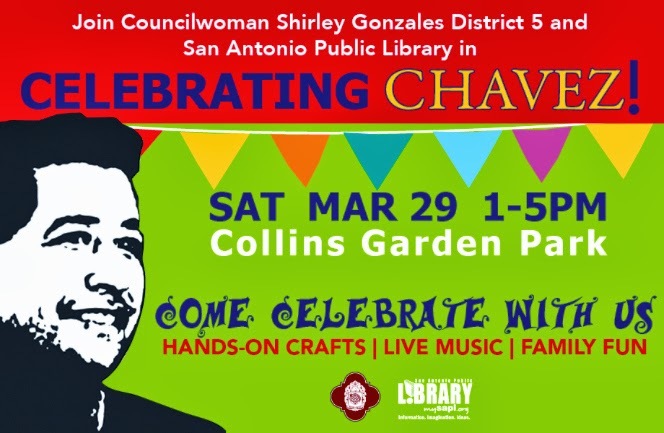 San Antonio is celebrating the legacy of civil rights leader Cesar Chavez and giving families the opportunity to teach their children about his fight for social equality, fairness to farm workers and how food gets on your table with three events the weekend of March 28th - 30th. We marched last year because we had not marched before and because we want to create awareness within the minds of our children. We marched because it is a part of our history as Mexican Americans and because there are still reasons to. This years march is Saturday, March 29th, 2014 and the Grand Marshall is my fave UTSA President, Dr. Ricardo Romo. The crowd gathers at the corner of Guadalupe and Brazos from 8:30 - 10 am for the Morning Program and Worship Service. 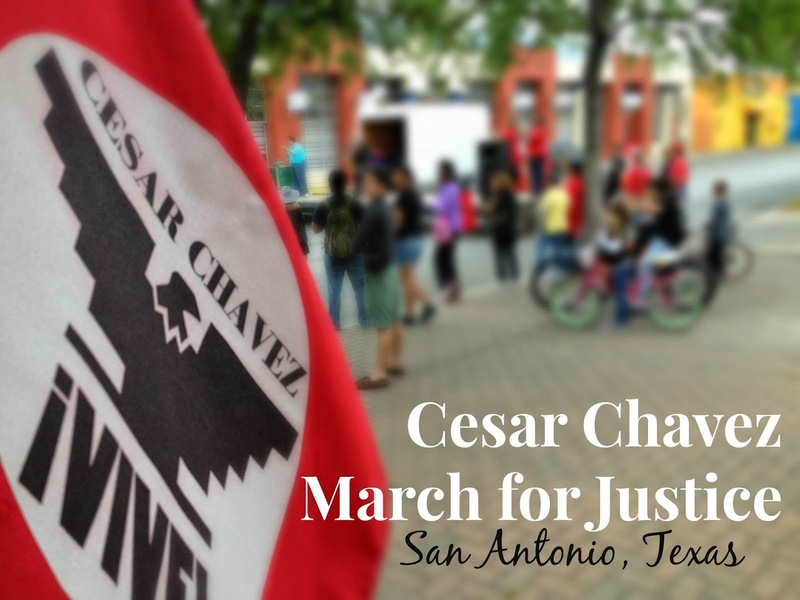 The March begins at 10 am over the Guadalupe Bridge, down Cesar E. Chavez Blvd. to the Alamo. There will be a VIA bus shuttle service from Alamo Plaza back to Avenida Guadalupe. 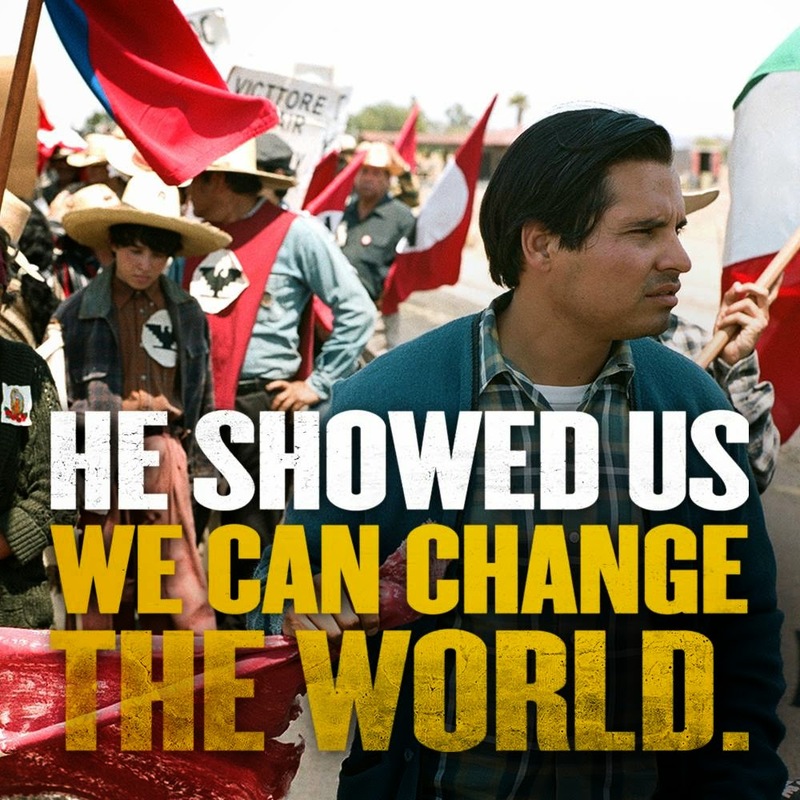 Friday, March 28th is the opening of Cesar Chavez, the movie. It is rated PG-13 and could use all the support it can get. I'll tell you that I am taking my 8-year old twins to see it. After all, if we can see superhero movies with the same rating, we can see this. And finally, if you can't make the March, but want to participate in some family love, there is Celebrating Chavez! at Collins Garden Park on Saturday! Check out the library's event page for a schedule of events. Not only do I wish you fun this weekend, I hope it opens up the dialogue of Mexican American history and culture between you and your children. To learn more, visit the Cesar E. Chavez Legacy and Educational Fund which is located right here, in San Antonio, Texas.